The Color Run’s kaleidoscope tour is wrapping up. The year 2015 will bring a whole new thing. What thing? I don’t know but I bet it will be great. The point is, you can still get in on the 2014 Kaleidoscope Tour in Clearwater, they will be here December 7th! Truth be told, I already ran in The Color Run Kaleidoscope Tour back in January. But I had so much fun I’m doing it again. In January I ran with my kids, this year I’m going to do a little more running and a little less fooling around (that last part was a was a lie) and run it with my sister. This is the same sister I talked in to doing a spontaneous mud run with me, I’m thinking we’ll have a blast. So the question of the day is should you run The Color Run too? Well obviously I think so because I only write about things I like. But do YOU think so? To be serious I’d kill for a 10 minute mile, but whatever. Even if you have never run before in your life you can wear white and get plastered in color by the end of this run, trust me. I’ve seen people walk the entire race with a double stroller and I’ve seen people actually race this thing but what I haven’t seen is someone not having a good time at The Color Run. Oh ya, and I also saw a unicorn guy. No, I’m not explaining that one. 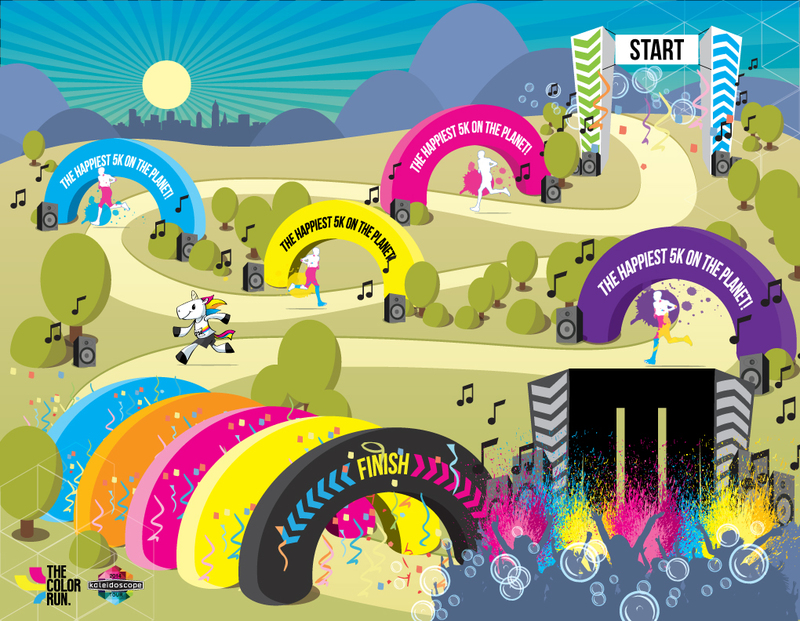 So, if you are in Tampa come on out and run with me, if you are not in Tampa check out their site to see if The Color Run 2014 Kaleidoscope Tour will be coming your way. Here is where you can see if they are coming to you and sign up if you’d like. Also, check out this DIY t-shirt weaving tutorial they have on their blog. I didn’t even know The Color Run had a blog, there is some pretty cool stuff over there. Disclosure: I have received two free race entries in exchange for posting about The Color Run. As is the usual all opinions are my own. Oh, I almost forgot. You can use promo code COLOR5OFF to get $5 off a registration to ANY city. Important: code must be entered at time of registration, cannot be retro-applied. Also please type the code in, do not copy/paste. Not valid with other discounts or promotions. This entry was posted in Discount Code, Running and tagged #LoveFL, #NaBloPoMo, 5k, Clearwater, Tampa, The Color Run by Kinda Zennish. Bookmark the permalink.